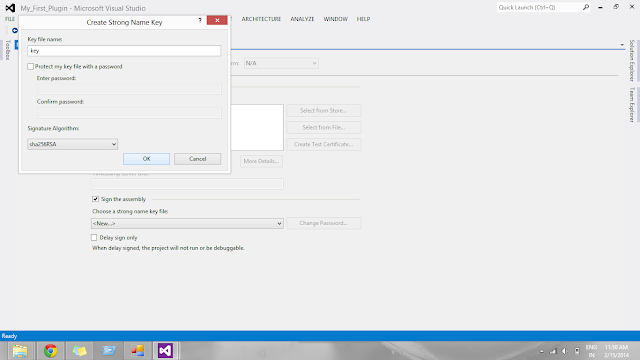 For your first Plugin we will take a test scenario - on create of contact record our plugin will forcefully update its email address to "testemail@gmail.com" and to achieve this you just need to follow the below steps. 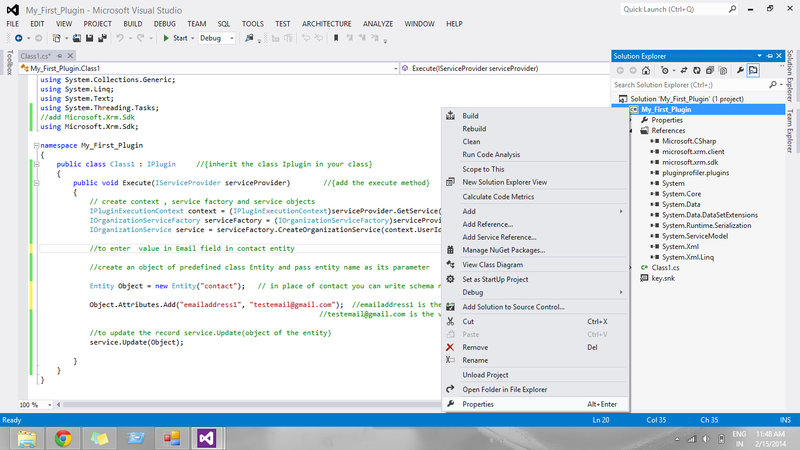 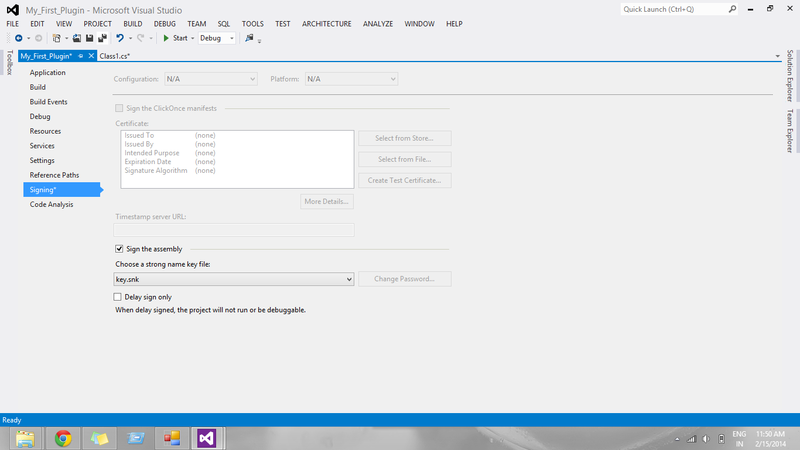 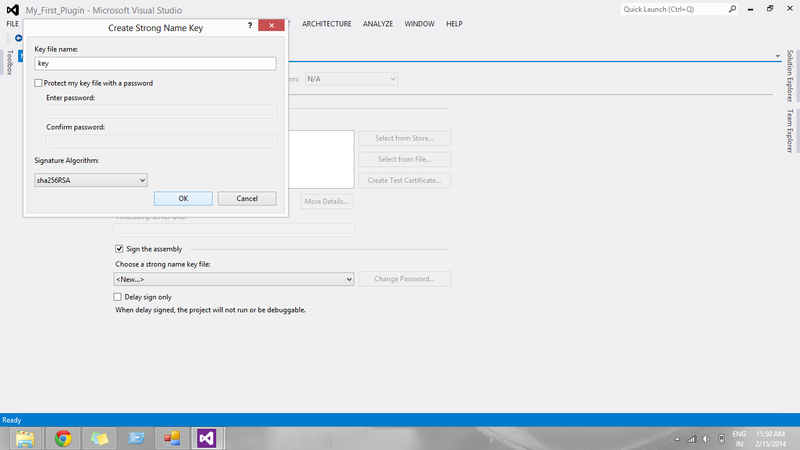 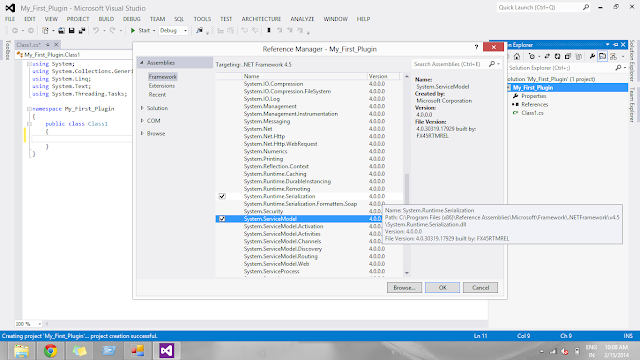 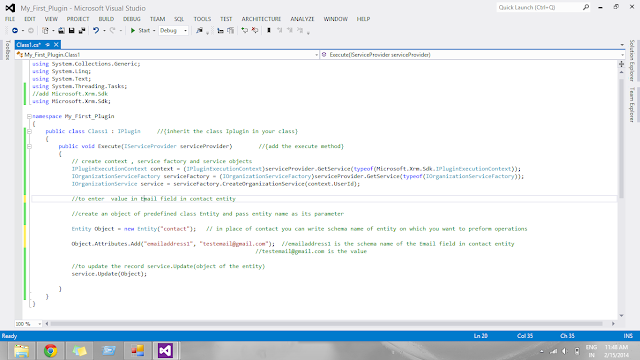 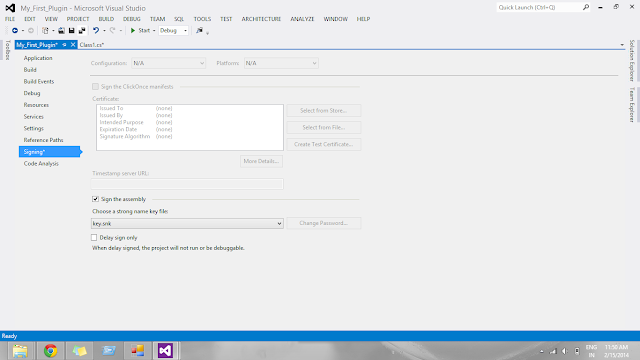 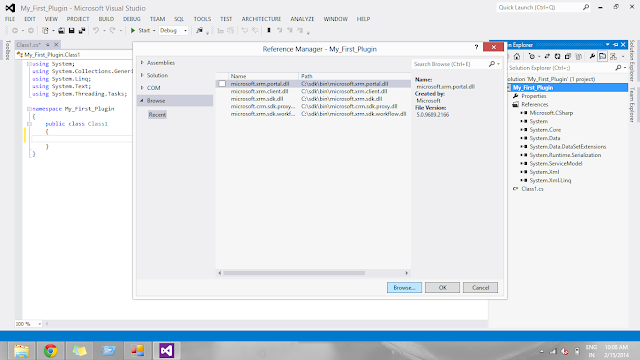 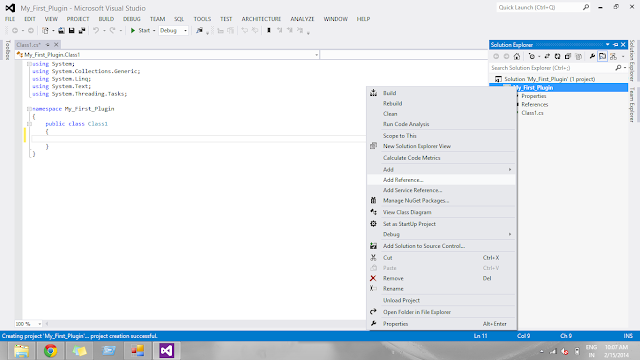 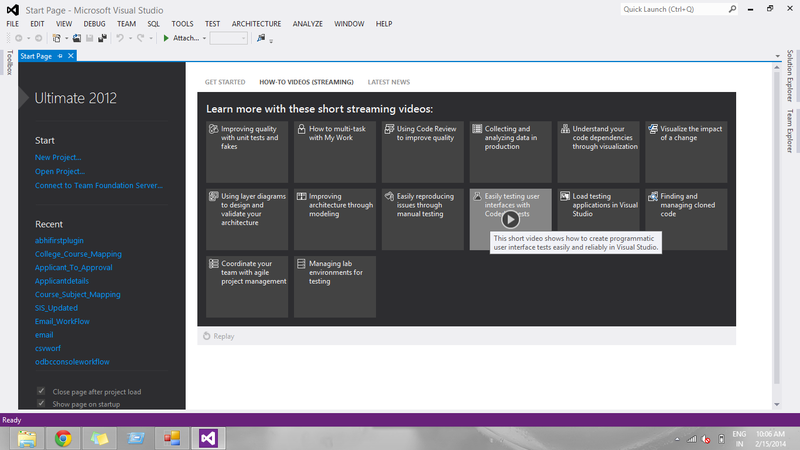 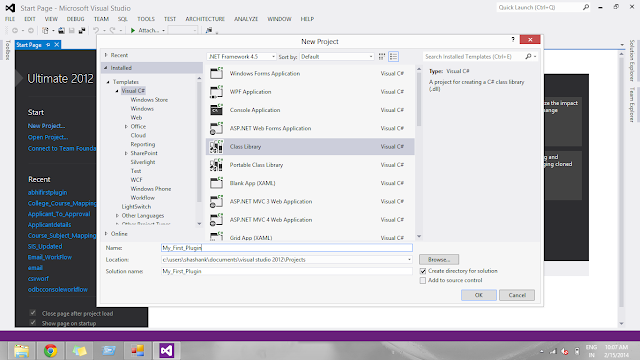 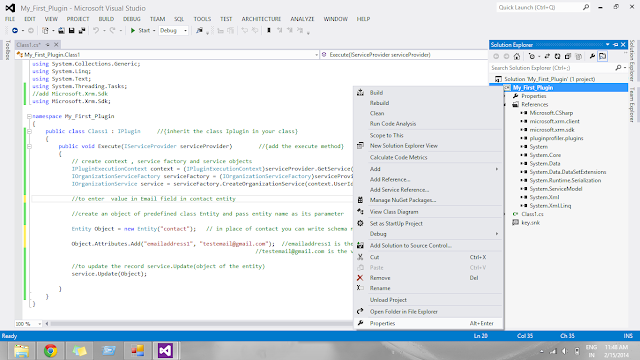 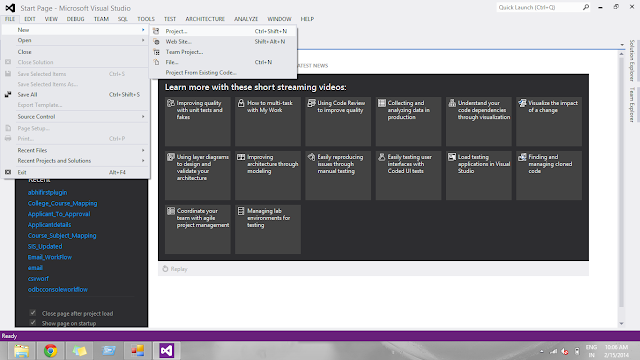 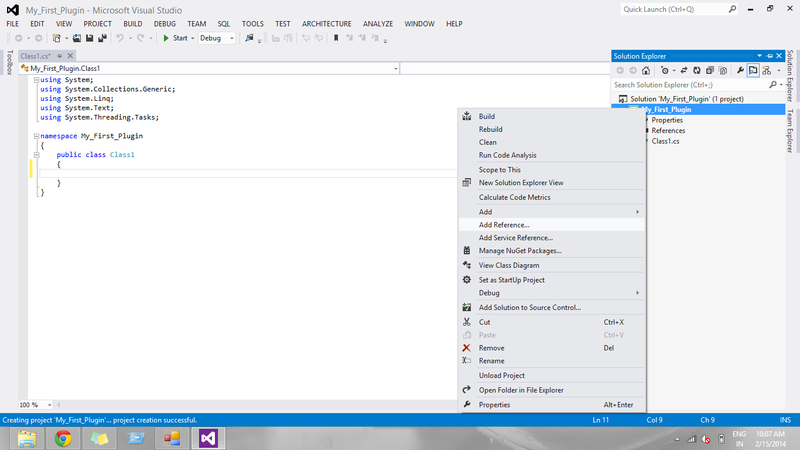 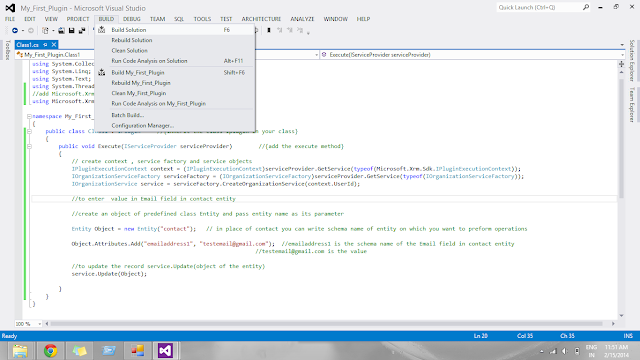 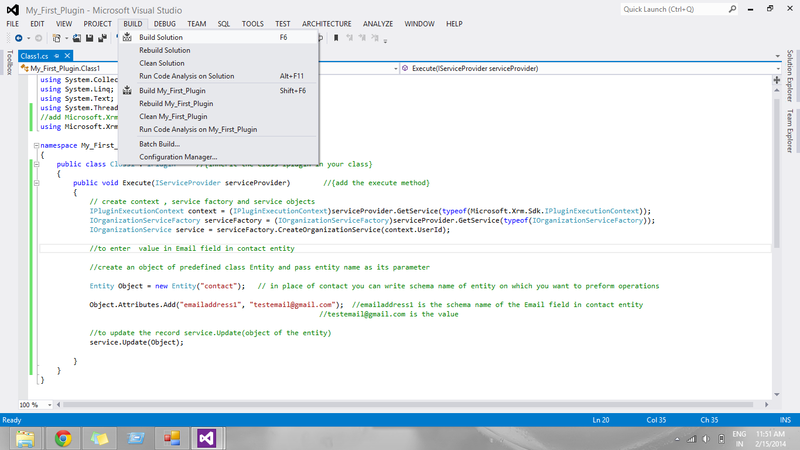 Step 8 - Open the class named Class.cs from solution explorer and modify the below code in it. If your namespace name and class name is different then remember to verify and update it. 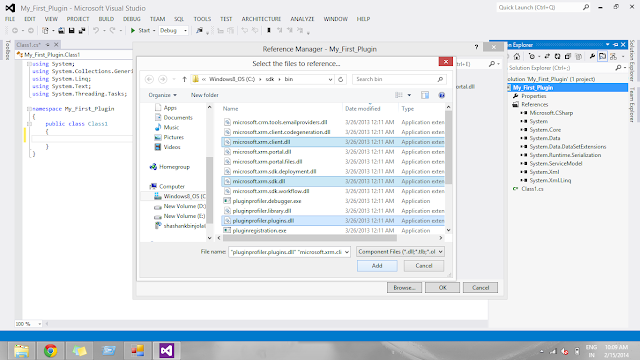 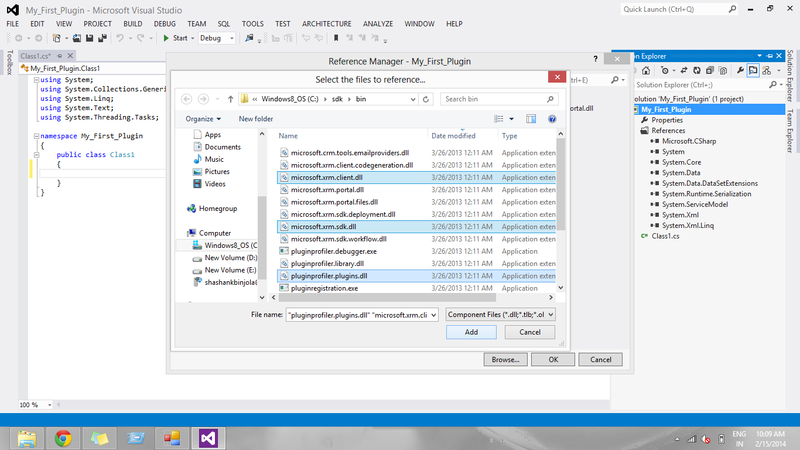 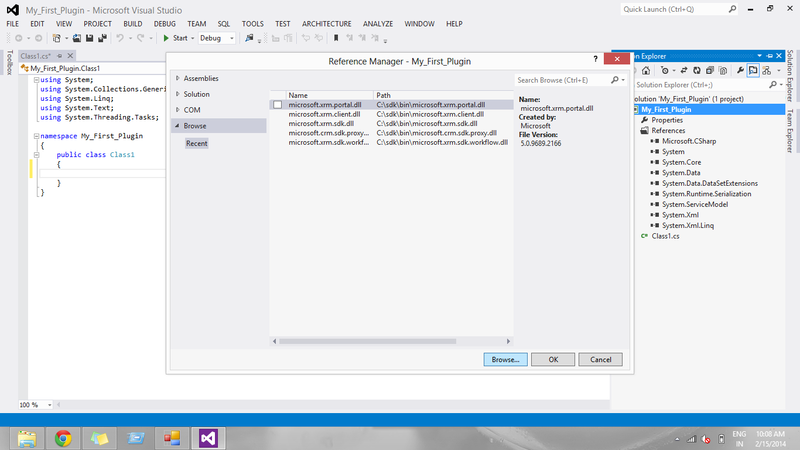 No Comment to " Create Your First Plugin Dynamics MS CRM "